NYU Langone Medical Center is a world-class integrated academic medical center and one of our nation's premier centers for excellence in clinical care, biomedical research, and medical education. Langone Medical Center had several different challenges presented to us. They had a 2007 SharePoint farm that was a little bit out of control, had a great deal of third-party experimental software installed, and they needed the whole farm migrated to 2010. We built robust three-tier farms for development and production. These had clustered backend SQL. The size of the databases and the complexity of third-party solutions cannot be overstated. Their SharePoint administrator, Eric Wells, was instrumental in providing huge patience and cooperation to see this project through to its successful conclusion. 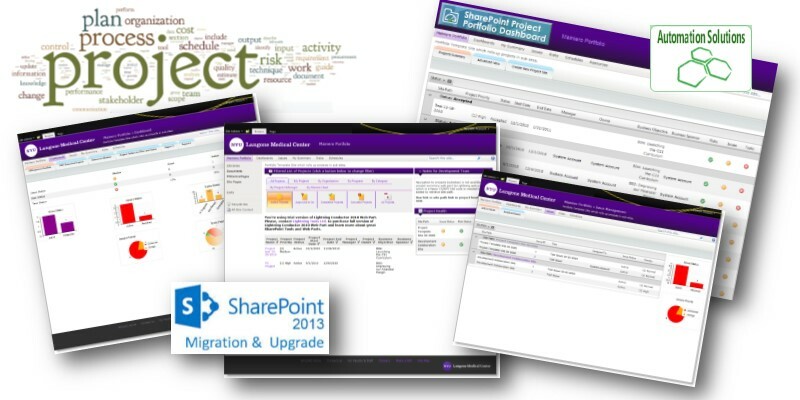 In addition to the SharePoint upgrade, a large component was building an internal project management system that would allow non-project managers a friendly environment to manage less formal projects. We acquired Bamboo Solutions project central, and completely stood that up and customized it. After a series of months of testing, it was determined that it would not have the flexibility to meet the medical center's anticipated needs. We then rebuilt this project management solution using more à la carte Bamboo Solutions components for a much more customized PPM app. There were several unanticipated hardware issues that caused nagging performance problems and became project-blocking issues. After extensive troubleshooting, the issues were resolved (teamed NICs always sound like a good idea but they create odd issues). After a dozen trial upgrades, we launched on 2010 and the outcome was a success for better technology integration, browser compatibility, and project management performance.